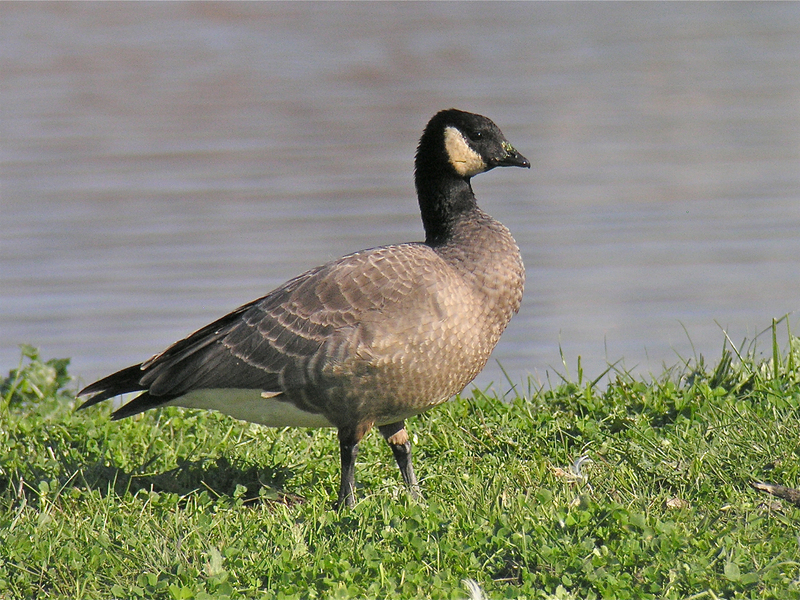 The Cackling Goose has 4 subspecies, and this small individual is probably the minima race. The slightly larger leucopareia subspecies, a.k.a. Aleutian Cackling Goose, has a well-defined white necklace.